How Many Catholic Sacraments Are There? "There are seven Catholic sacraments: Baptism, Confirmation, Holy Eucharist, Penance, Extreme Unction, Holy Orders, and Matrimony." 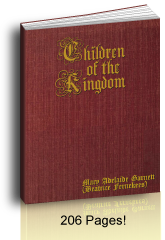 Many parishes and Catholic home school programs use the Baltimore Catechism in their Religion programs because of it's long and venerated history. Besides, its answers are easy to memorize. 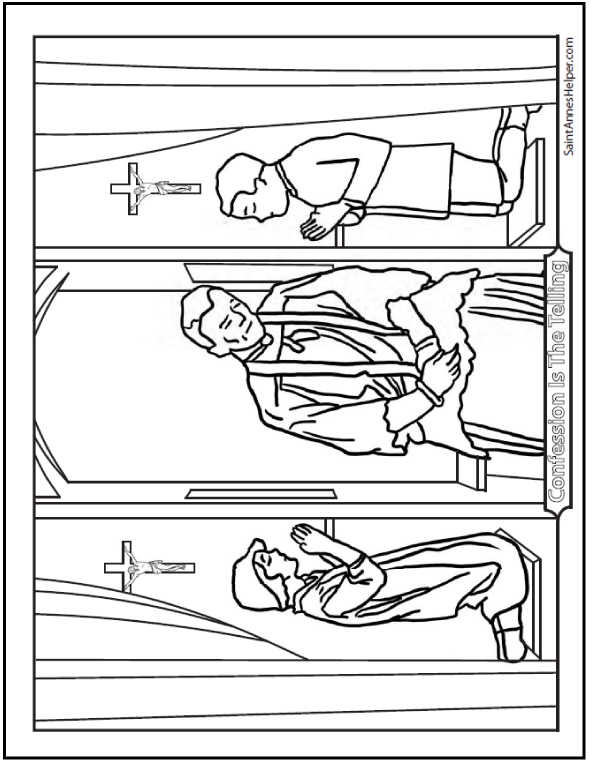 See these helps and some sacrament coloring pages below. The first four are all studied for First Communion. All are defined in the Confirmation catechism and the text focuses on the Blessed Trinity, the Holy Ghost, the Incarnation of Our Lord Jesus Christ, and the Redemption. 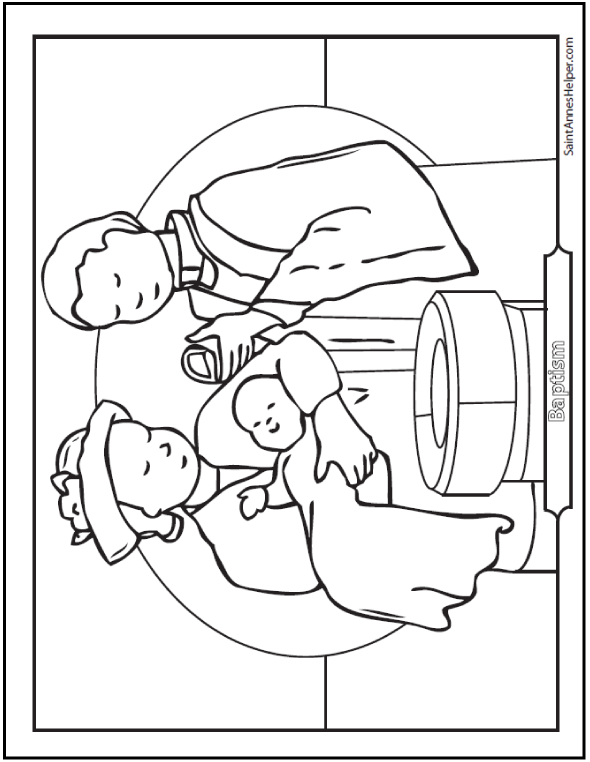 Remind the children that Father's surplice and baby's outfit are white. Teach them that white is a symbol of purity and that once a person is baptized, his soul is pure and ready for Heaven. More on Catholic Baptism here. Confirmation has many symbols. 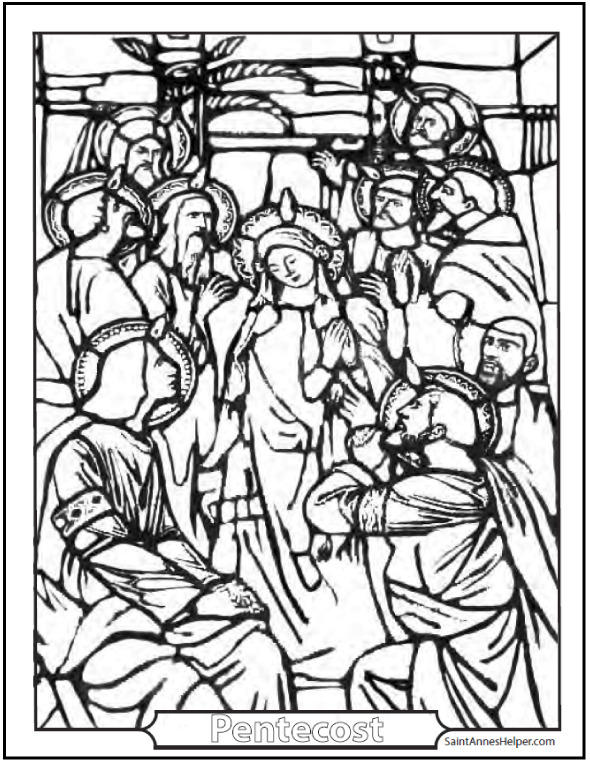 Pentecost is a symbol of Confirmation. 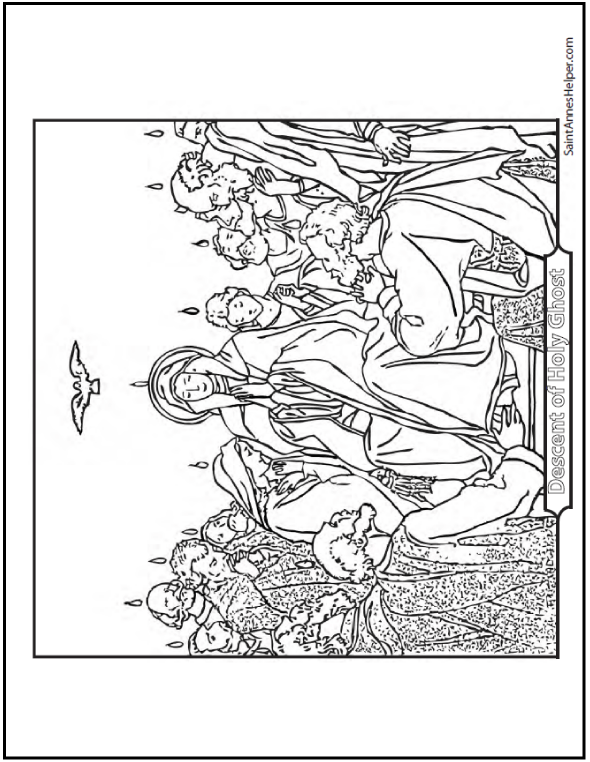 Remind the children to color the light places on the picture first: yellow flames and halos and white surplices to make coloring the details easier. Colored pencils are excellent for the details. More about Catholic Confirmation here. 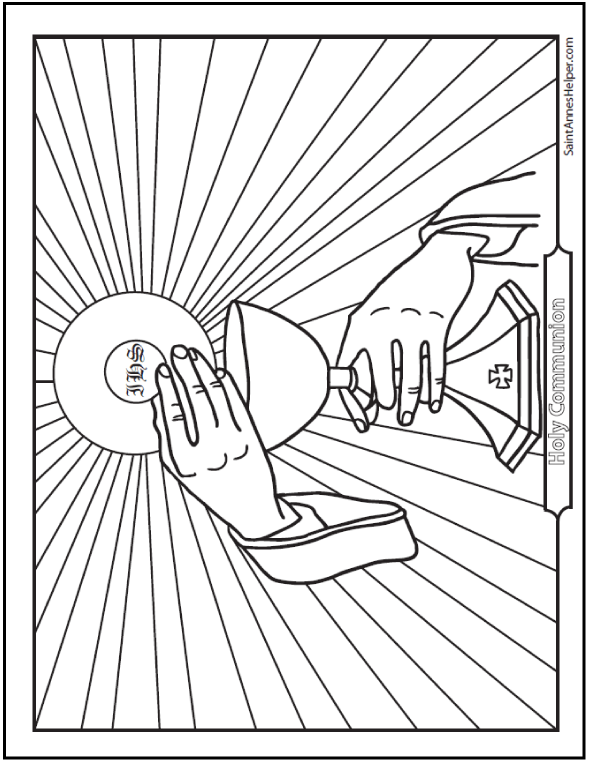 These Holy Eucharist coloring pages are perfect for First Communion preparation. Remind the children that Jesus Himself is the one who made the sacrifice and that after the Consecration the little white piece of bread is now the Body and Blood, Soul and Divinity of Jesus Christ. Also teach them to pray well after receiving Communion. 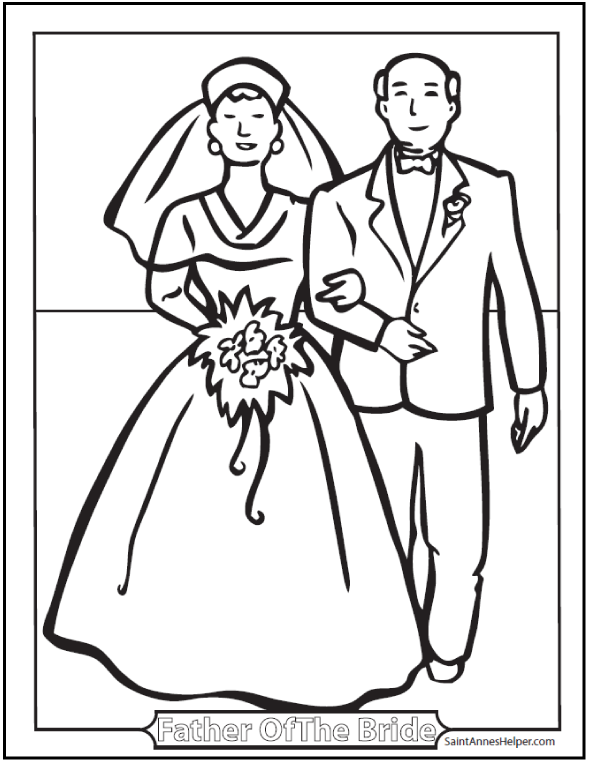 There are more Communion coloring pages at the links below. 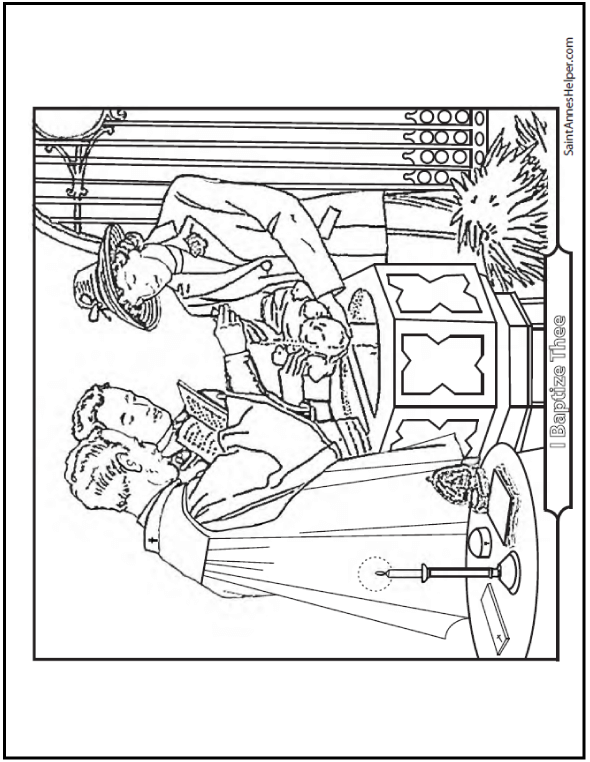 This confession coloring page shows the priest and a dual confessional. When Father is listening to one penitent he closes the wooden window screen on the opposite side. Some confessionals have doors, yet this one has curtains. More on the sacrament of Penance here. 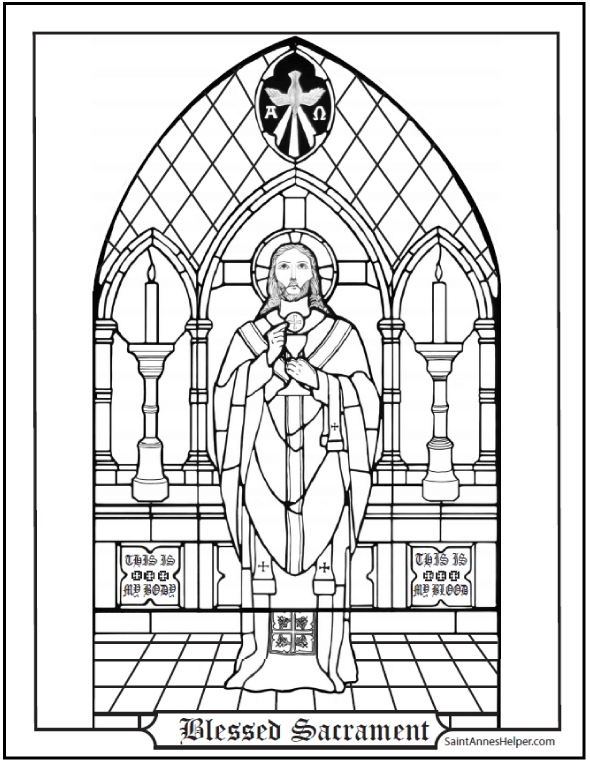 Catholic Ten Commandments and Ten Commandment coloring pages. Children love to think of Extreme Unction as a comfort to the dying and there is no better image of it than Jesus and Mary being with St. Joseph when he died. Baltimore Catechism Extreme Unction questions and answers. Beautiful printable Prayers for the Dying booklet. 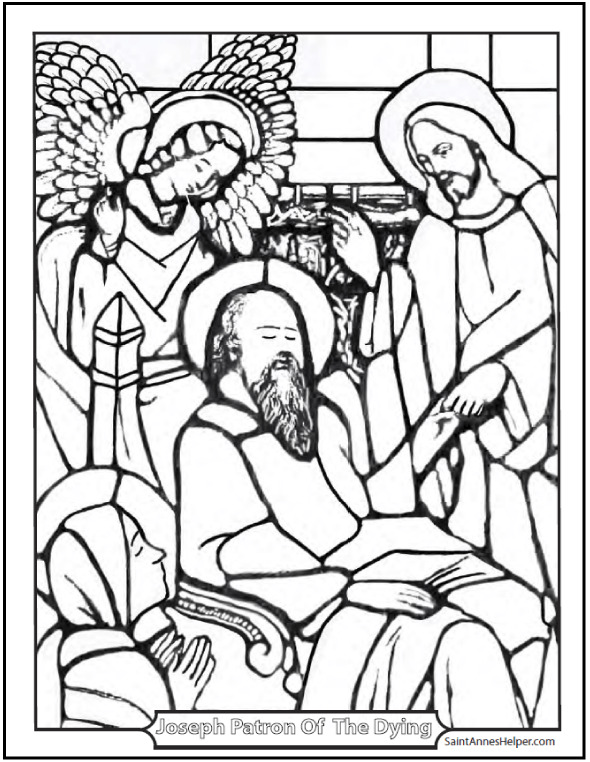 Saint Joseph Prayer and printables. We need holy priests. May God send us more priests so that we can have more Masses and sacraments. Let's remember to pray for them, too. 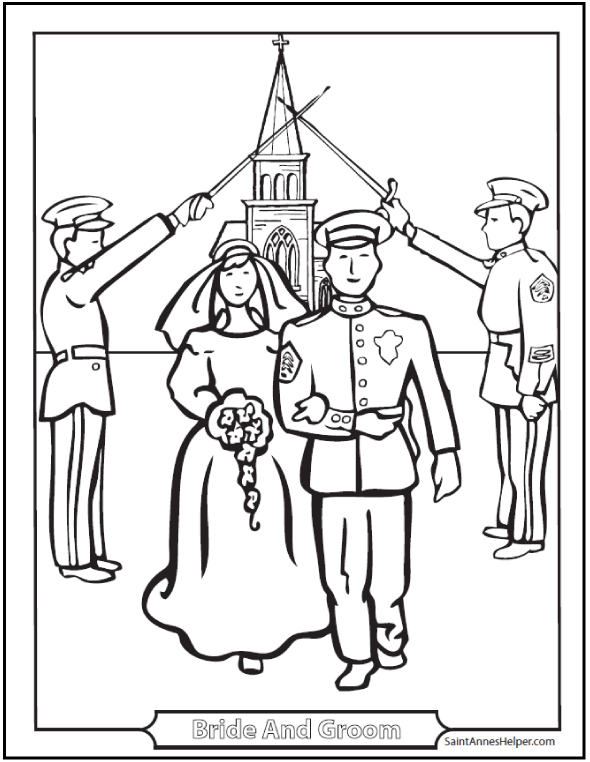 It's kind of tricky to color wedding pictures when the most important person is all dressed in white. 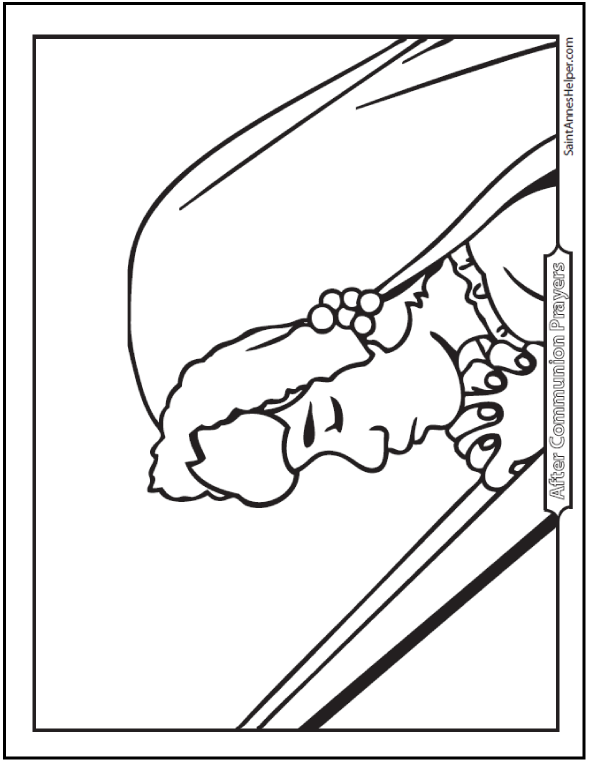 Children love using a white crayon so, if one is available have them color the white parts first. It will help them remember to leave them white. No white crayon? Outline the white in blue and color the background next. The main things to learn in catechism class are the Roman Catholic prayers, the answers to the Baltimore Catechism, the Catholic Ten Commandments, the seven sacraments, and Catholic prayers for children. 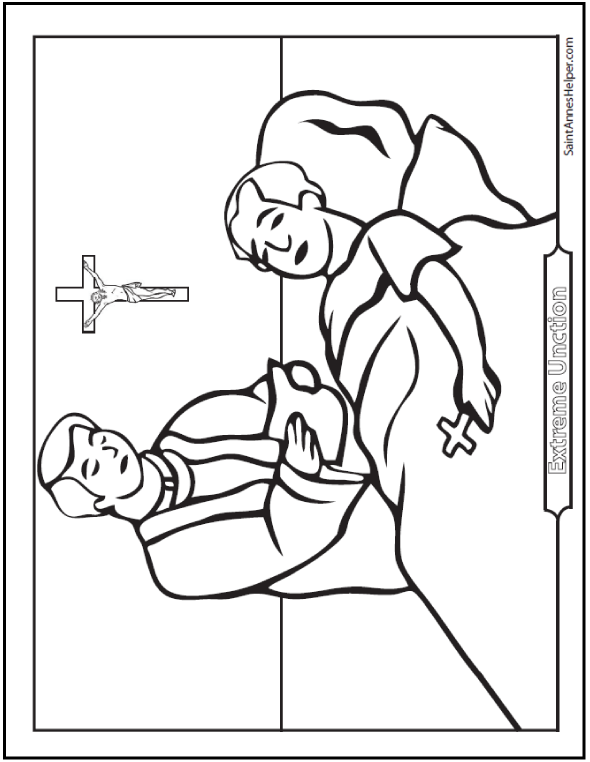 With St. Anne's Helper audio book download and Catholic worksheets you can have help teaching your children what your pastor wants memorized. The question about the Roman Catholic sacraments is usually asked in both the Communion catechism and the Confirmation catechism and are on both CDs. The first four sacraments are explained well enough in most Communion catechisms for receiving the sacraments of Catholic Baptism, Penance and Holy Eucharist. Some Communion catechisms of old also had a few questions on Catholic Confirmation. My own mother and her classmates received their First Holy Communion and Confirmation in the same year. This was in the 1930s. My grandmother and my great aunt left a note of blessing and gift to this effect in her tiny children's Missal. 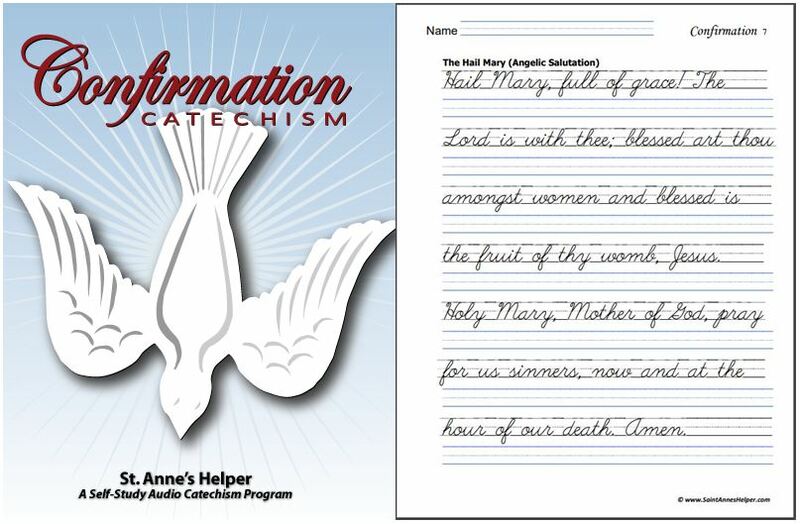 Saint Anne's Audio Catechism CDs, audio book download, and Catholic worksheets teach the Baltimore Catechism answers for Communion preparation and Confirmation preparation. They cover the basic Catholic beliefs for all seven Catholic sacraments. 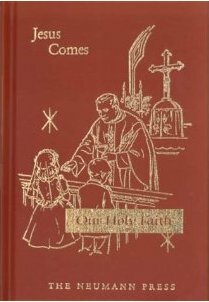 The best book that we have found for Catholic Communion preparation is Jesus Comes (Our Holy faith) because the answers are excellent and the stories convey the main Catholic Bible stories and excellent explanations of what duties and limits the Catholic Ten Commandments involve. The is the very best quick explanation that we have seen for adults, too, since it is short yet covers the basics well. 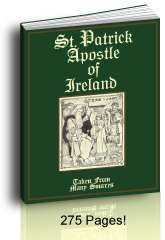 St. Anne's Helper First Communion Audio Catechism CDs and E-Copybooks teach the basic Catholic beliefs about Baptism, Confession , and First Communion. They help you memorize the Communion Prayers, the Rosary prayers, the Catholic Ten Commandments because you can listen to the same track several times. See Catholic answers for Creation, the Blessed Trinity, the Redemption, the sacrament of Penance, how to go to Confession, the Holy Eucharist, the Mass, and receiving Communion that you choose, just press repeat 1. 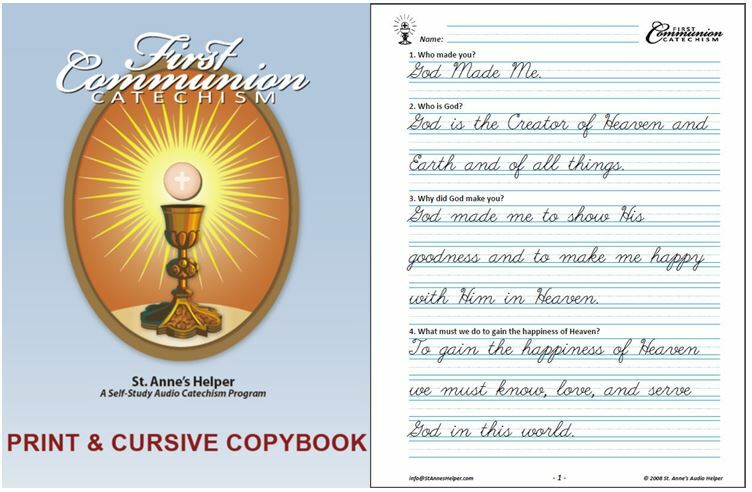 St. Anne's Helper has Catholic worksheets to match the Communion CDs and audio book downloads. 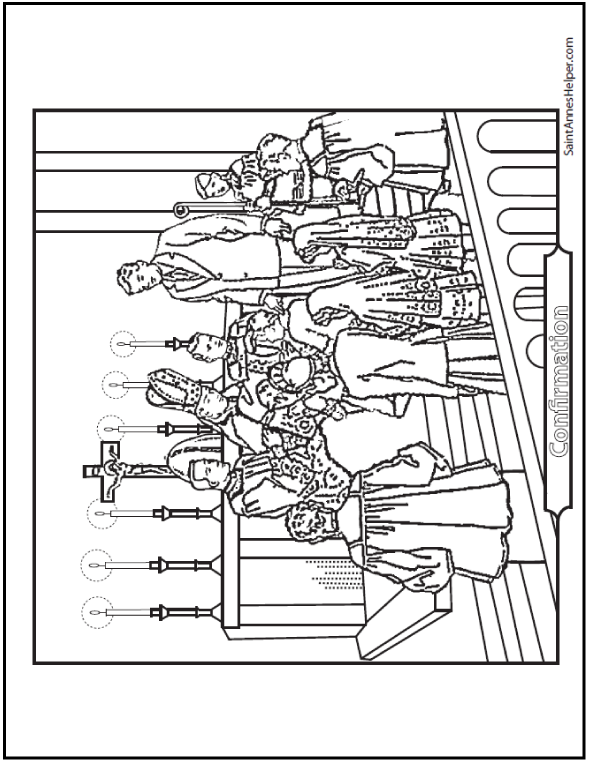 They're awesome for catechism class as well as penmanship practice. They make excellent homeschool worksheets. You can keep them in a folder, put them in a binder or have them spiral bound. The advantage to having them as downloads is that you can reprint individual pages or reprint the whole book for the next student. 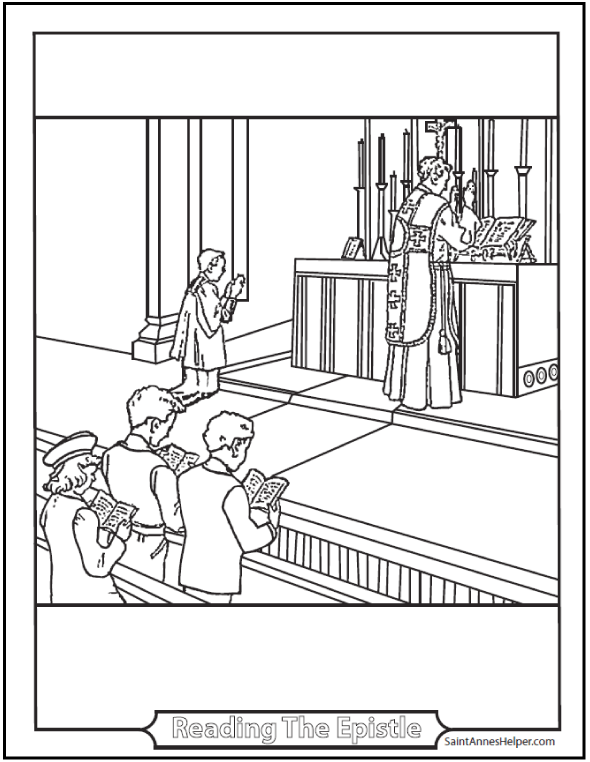 The Confirmation Audio Catechism CDs and E-Copybooks teach the basic Catholic beliefs about the seven sacraments with a deeper study of other Roman Catholic beliefs like the Blessed Trinity, the Redemption, and the Holy Ghost. They help you memorize the Rosary prayers, the Catholic Ten Commandments, the Prayer to the Holy Ghost, the Seven Gifts of the Holy Ghost, and the Twelve Fruits of the Holy Ghost and whichever answers to the Baltimore Catechism that your pastor requests or that you choose to learn. Saint Anne's Helper covers more than is usually required so you have whichever answers you need or go beyond the minimum requirement. Prayers For The Dying - Printable booklet.